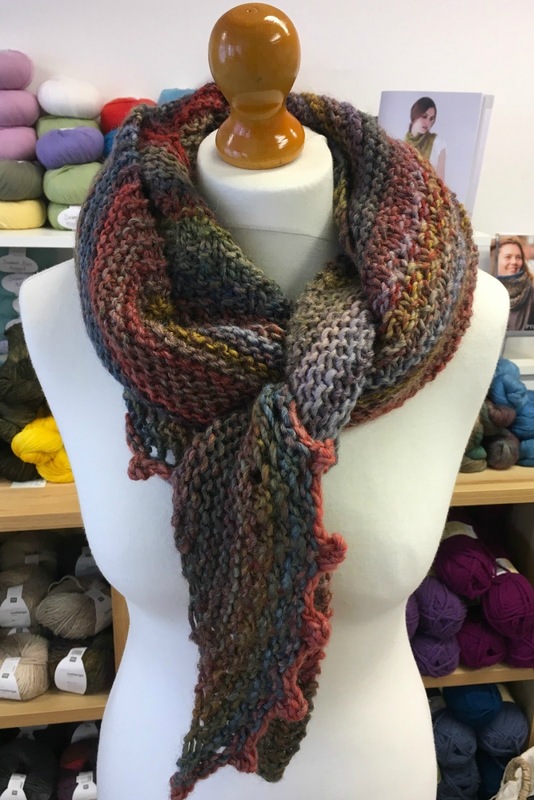 This was an impulse knit during the heavy rain at the beginning of June, which probably influenced the autumnal colour choice too, so it's not entirely appropriate for the current 'heatwave'... but you can't go wrong with a cosy wrap even at the height of Summer! The pattern is Shades of Wicklow and is available to buy on Ravelry. 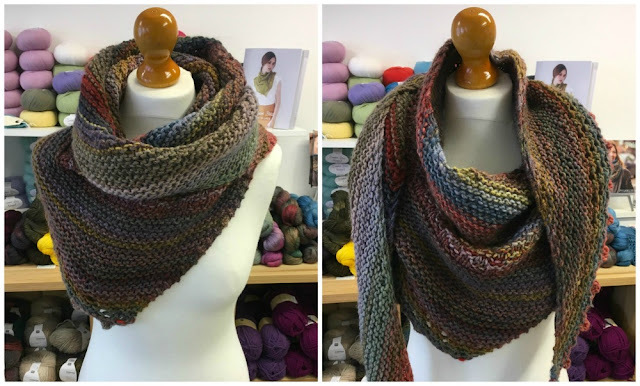 It's an asymmetrical shawl which gives lots of styling options* and it uses a chunky yarn so it knits up quick too! 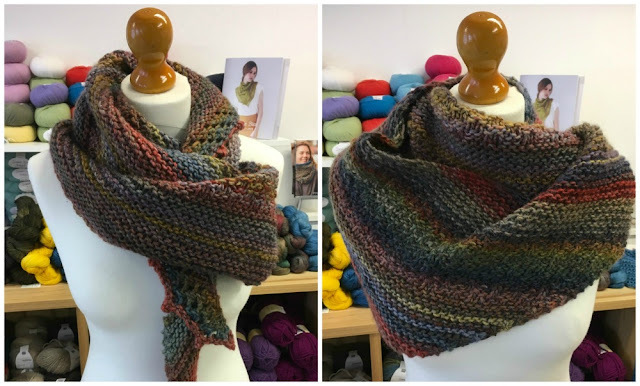 The designer used 3 different shades to stripe her shawl but I've used the self striping Rico Melange which gives a variety of shades and stripe widths. 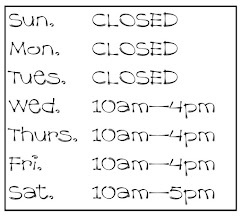 You can see all the details on our Ravelry project page. *yes, as usual, I did have fun styling the Dummy!